I remember the first time that I laid a hand on a stethoscope as a medical student. We were in the physiology lab and it was during the second year of med school. We were crowded around the tables, touching the stethoscope almost reverently, while the lecturer demonstrated how to handle it and listen to the lung and heart sounds. Then came our opportunity where we got to try and listen to the hearts of our colleagues. It was initially a disappointment, because I imagined it to carry heart sounds as loud and clear as a radio, which was my fantasy. I got a stethoscope of my own during the third year when we first got to practice with real parents. We’ve gotten better at distinguishing the various sounds since then. The day a medical student gets to handle a stethoscope is one of the biggest and most anticipated highlights of his or her carrier. Not only does the stethoscope play a vital role in helping to identify various disease conditions, it has acted as a symbol of identification for many a generation of physicians. Today’s article is about the story of the beginning and the evolution of this jewellery of physicians, which has a history of over 200 years. The stethoscope was invented by Dr. René Laennec of France, in the early 1800’s. Even though the history uses the word ‘invented’, the first ‘stethoscope’ was actually a rolled paper used as a tube. Up until then, the sound of the chest, if needed to be heard, were listened to by the doctor who kept his ear on the chest of the patient. Dr. Laenec thought that it was improper to examine the chest of his young female patient that way, so he rolled up a newspaper to make a long tube. He was surprised to hear that the sounds were actually louder when listened to the sound that way, and the rest, as they say, is history. Many historians have given much credit to the invention of the stethoscope, when it comes to the advancement of western medicine. Not only does it provide information about the condition of various systems in the body, the process is also painless and simple, which was a novelty during the earlier days. 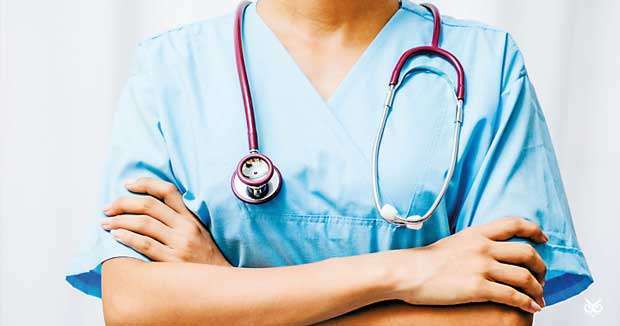 The modern version of the stethoscope is an invention of Dr. David Littmann, whose name is made immortal in the famous stethoscope brand that millions of medical professionals proudly sling around their necks. Looking at the parts of a stethoscope, a typical chest piece comprises two sides, called the bell; which is used to hear low pitched sounds, and the diaphragm; which transmits high pitch sounds. These are connected to the ear pieces through a rubber tube. A stethoscope has multiple functions. But mostly, it is used to distinguish normal sounds from abnormal sounds and to collect information on the various systems of the body through the clues that the body supplies in the form of sounds. If you listen carefully, you will come to realize that an added sound-called a murmur- between the Lub’s and Dub’s of the heart, a bubbly sound at the base of the lungs or the absence of sounds in the belly area, coupled with a history and other examination findings, tell a stories of their own. But in order to read the story through these clues, much skill; gained through practice, as well as discipline, is required. As any senior doctor would tell you, in order to immediately recognize an abnormal sound of the heart you have to listen to a hundred normal hearts and gain the practice beforehand. Today, there are different stethoscopes used by different specialties. Paediatricians have their own miniature version of stethoscope, while the cardiologists have devices with a larger chest piece, which carries sounds better. As with many other devices of use, the stethoscope has kept up with the advancements of the technology as well. Today we have stethescopes which perform a variety of functions like digitally enhancing the sounds, reducing background noise and recording the sounds that are heard through a computer. There are also devices called Doppler scanners, which can diagnose a condition by the intensity, frequency and the quality of the waves emitted by the body organs. Many western doctors predict that traditional stethoscope would soon be replaced with these superior ‘hand held’ scanners, which will relieve much of the workload of a doctor. But can this symbol of modern medicine which was the companion of physicians for generations, truly be replaced by a robotic device? Only time will tell for sure. 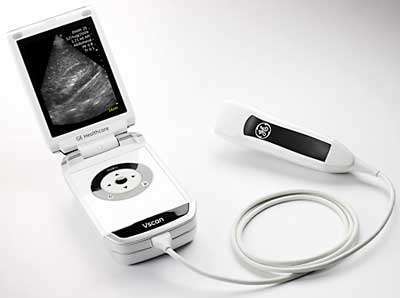 Stethoscope wonderful device still extremely useful however in office setting advanced devices as Doppler studies and echocardiogram gradually take over for accuracy and clarity of diagnosis.